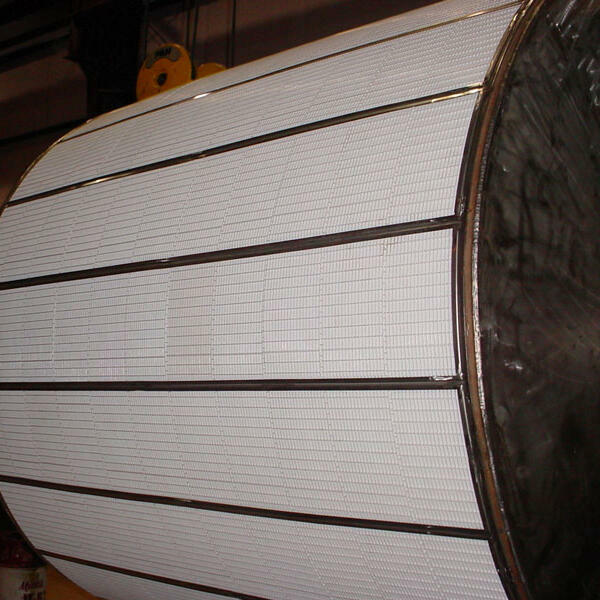 Compositech manufactures replacement drums for all makes and models of drum filters. 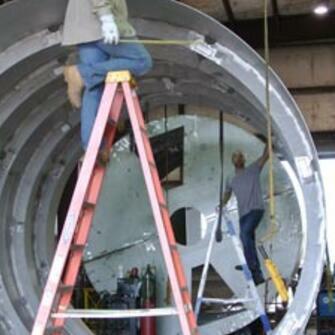 Our drums are reinforced with interior steel rings to ensure drum concentricity. The end head plates are also reinforced to strengthen the head and prevent flexing. The drum is supported by trunnions that are bolted to the drum heads. In addition to manufacturing drums and trunnions, Compositech stocks drum associated parts including drainage grids, bearings, bearing liners, worms and worm gears. Drums may be sectioned with as few as six sections or as many as thirty six sections depending on the size and manufacturer. Compositech manufactures drums of carbon steel, stainless steel, rubber, plastic or a combination of these materials as required to meet the needs of our customers. Our drums are designed to adapt to changes in feed rate and solids concentration delivering maximum performance and high production rates. Martin Marietta Magnesia Specialties has ordered nine replacement drums from Compositech since 2002. These replacements interchange directly with equipment originally manufactured by both Komline-Sanderson® and Eimco®. Compositech’s drums exceed the Komline-Sanderson® drum capacity by a factor of 5 and they exceed the Eimco® capacity by 1.5 times.